Pint-sized and Simple: Come see what's cookin' over at Lorissa's Kitchen! Come see what's cookin' over at Lorissa's Kitchen! Meat lovers, rejoice! 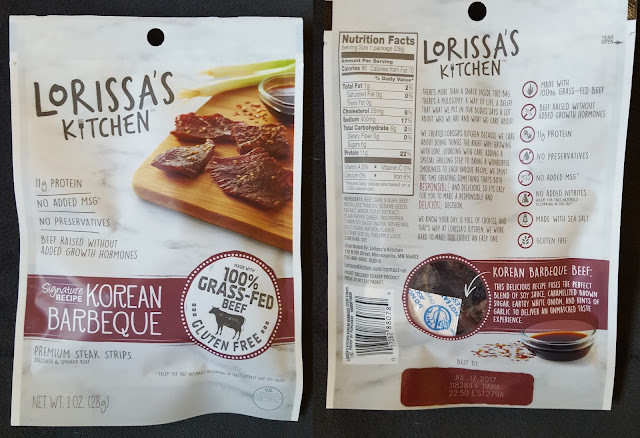 There's a new meaty protein snack in town, and it's not just your run-of-the-mill peppered beef variety. 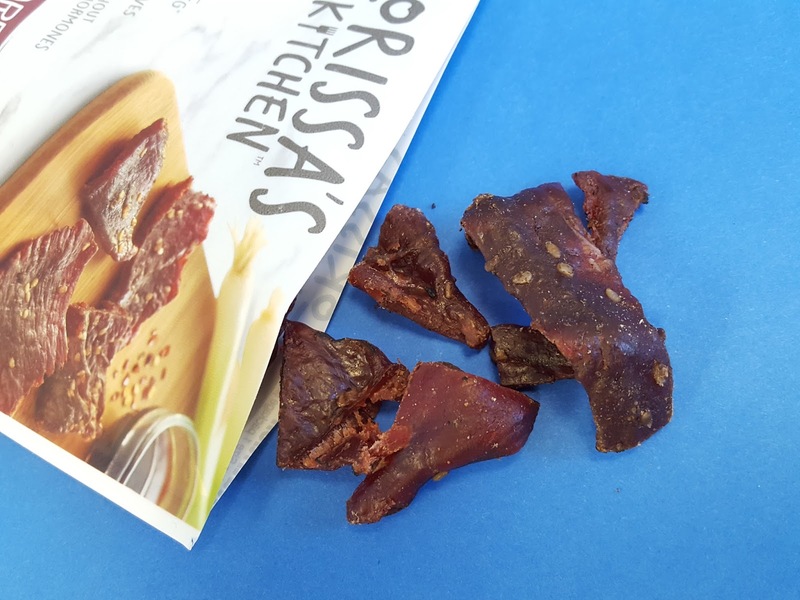 For the sake of labeling I'll call it jerky in this post, but it's not really jerky. 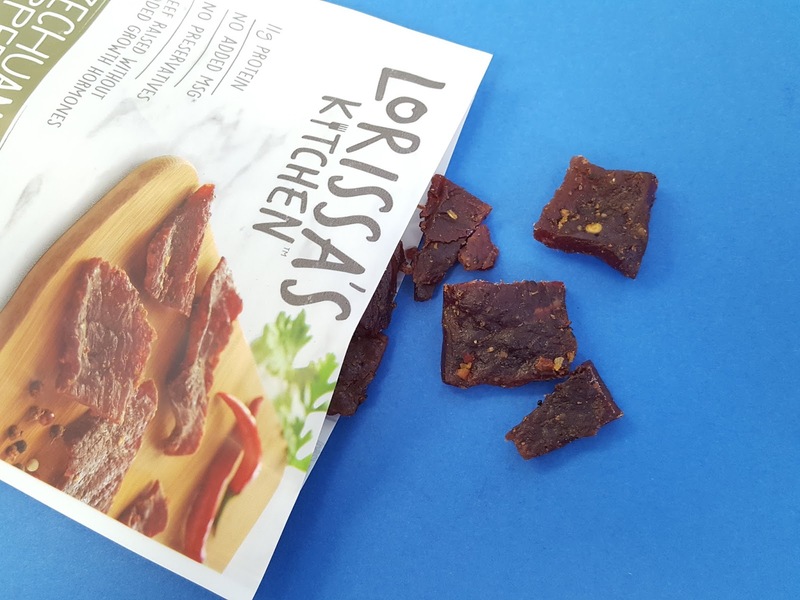 Lorissa's Kitchen snacks have a higher moisture content and therefore is more tender than traditional jerkies. It's juicy jerky. 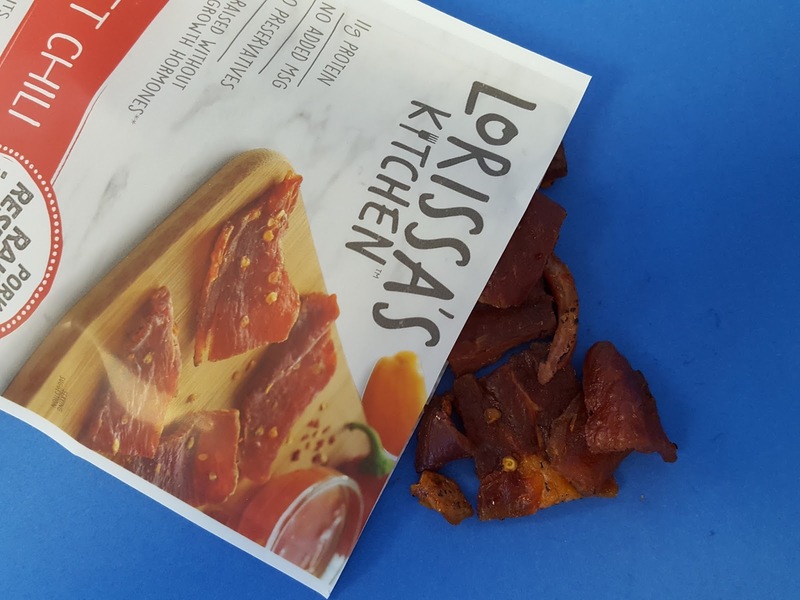 But first, let's address the burning question: who's Lorissa? 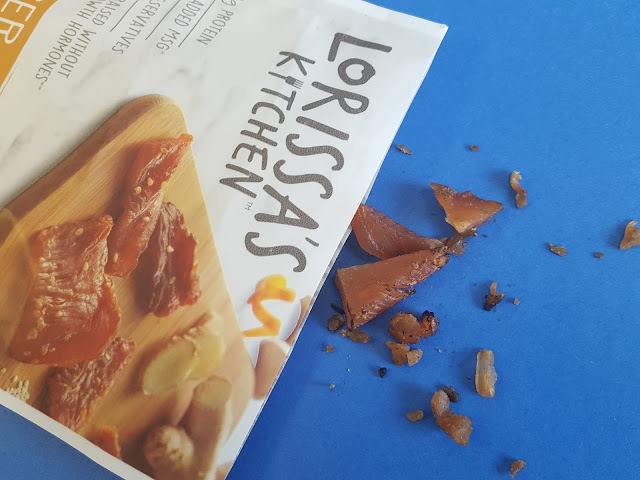 Yes, she is a real person and like many of us, she balances family with a busy schedule with a healthy lifestyle and just wanted a delicious on-the-go snack without sacrificing quality and responsible sourcing. 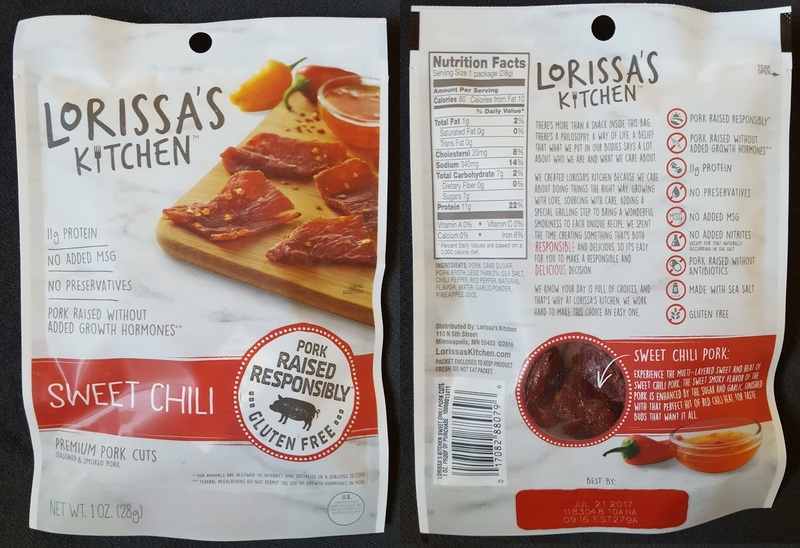 Enter Lorissa's Kitchen. Lorissa's Kitchen comes in four delicious flavors and uses protein raised without added growth hormones, has no added MSG, and no preservatives. Each serving also contains 11g protein and is less than a hundred calories. Say whaaat?! Korean Barbeque Beef - "the perfect blend of soy sauce, carmelized brown sugar, earthy white onion, and hints of garlic." Slightly spicy with just the right amount of sweet. The onion flavor really comes through in here and gives it a unique taste. I'm not sure if I'd call this flavor Korean BBQ, though. When I think of Korean BBQ I picture kalbi and BBQ chicken. 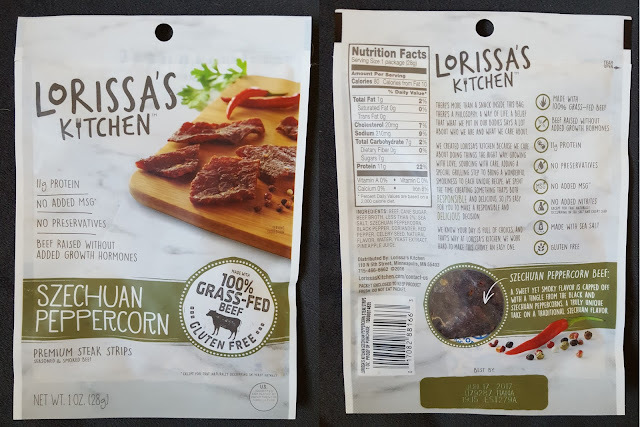 Szechuan Peppercorn Beef - "a sweet yet smoky flavor is capped off with a tingle from the black and Szechuan peppercorns." Oooh, yummy. There's a spicy kick when you first take a bite of this one, but the more you eat it doesn't get any spicier like some other jerkies. The spiciness is balanced with some sweetness; in fact, I think it might be sweeter than the Korean BBQ flavor. Sweet Chili Pork - "the sweet smoky flavor of the pork is enhanced by the sugar and garlic, finished with that perfect hit of red chili heat." Yummm. This is probably the spiciest of them all, but I like spicy so it's all good. It's also the juiciest of the bunch and my favorite. If I saw this in the store I'd definitely pick up a bag for myself (no sharing)! 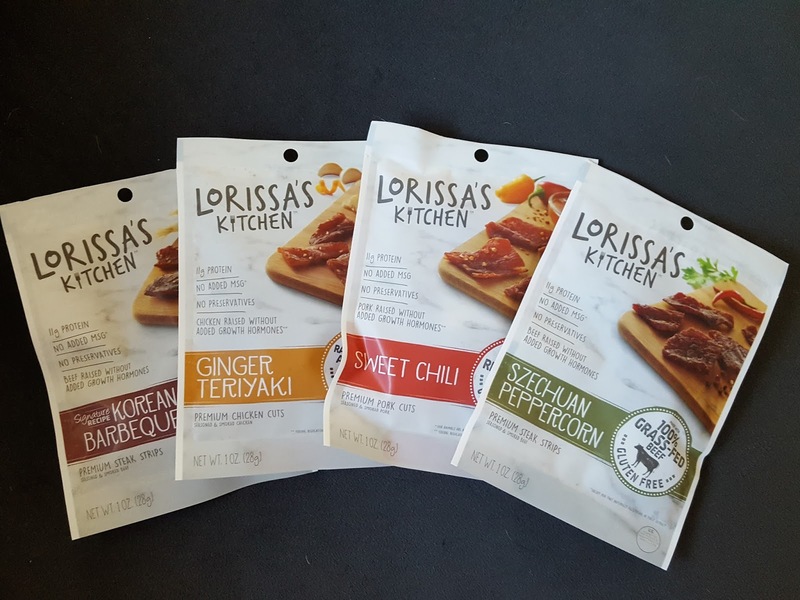 Lorissa's Kitchen is available at Walgreen's and Target stores. I haven't checked Walgreen's yet, but none of the Target stores near me carry it. :( If worse comes to worse, Amazon also carries this glorious stuff and I will gladly buy a case if my wallet lets me. 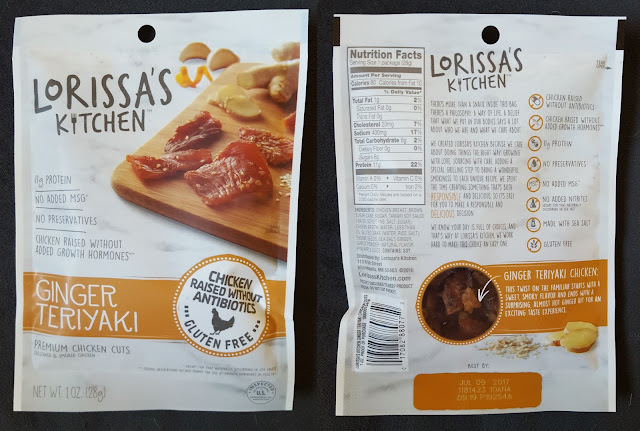 Note: I received Lorissa's Kitchen snacks free from BzzAgent for testing and review purposes. All opinions expressed in this review are my own.